As part of our continuing series Women to Watch, we’re profiling hardworking women in business (many of whom are mums) who have launched startups and their own companies and are making their mark with a unique brand or product idea. 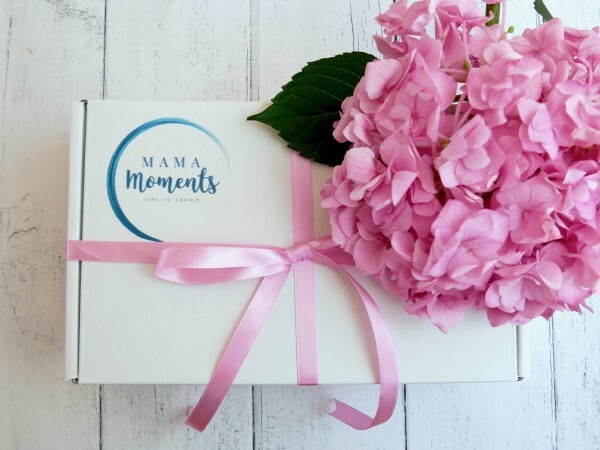 Today, we meet Sarah the founder of Mama Moments an Ireland-based business providing self-care subscription boxes to help mums prioritise taking some time out to care for themselves. 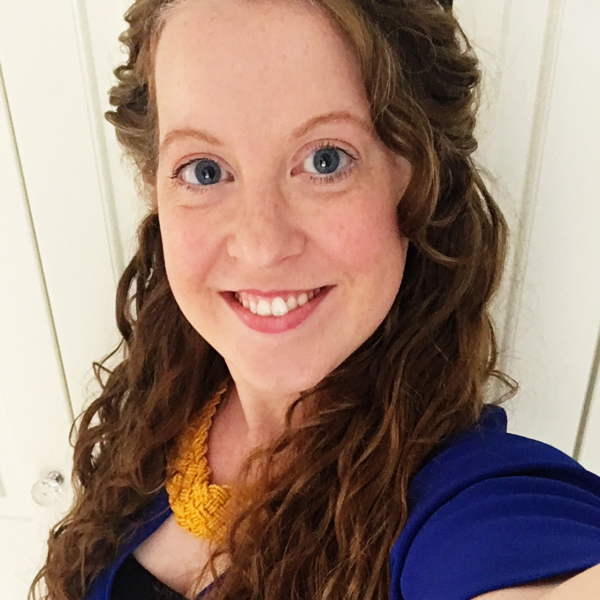 She spoke to us about her journey so far, how her experience with postnatal depression taught her the importance of self-care and the advice she would give fellow women starting out. Tell us how Mama Moments came to be and about its products? Mama Moments is a self-care subscription box aimed at busy mothers. The idea is to provide mothers with a regular prompt to prioritise self-care as it’s too easy to always put everyone else first and let yourself burn out. I had hyperemesis on both my children and post-natal depression after my first was born. Going through those experiences was incredibly hard physically, emotionally and mentally, so I learnt the hard way the importance of self-care. As the saying goes, you can’t pour from an empty cup. If you don’t make some time for yourself to recharge you will hit a wall. I also noticed over the years that there can be so much focus on a new baby that the mother can get lost in the shuffle. People can be so generous with clothes and toys after a baby is born but it’s also essential to check that new mothers are doing okay and to remind them to look after themselves as well as their new babies. These realisations combined and the idea to create Mama Moments was born. 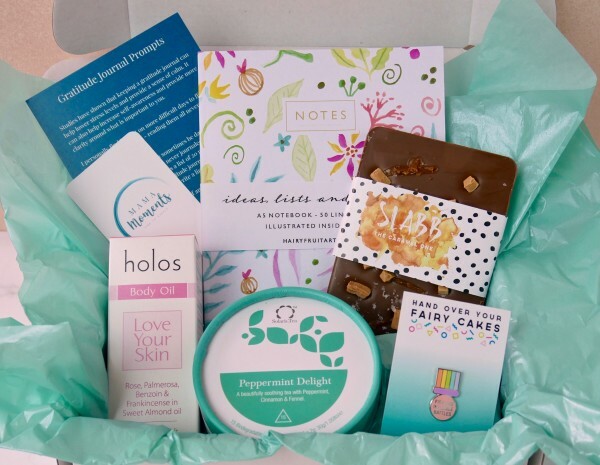 Subscription boxes are incredibly popular, but there was nothing in Ireland aimed at mothers around the idea of self-care. The Mama Moments subscription box will arrive every two months and will contain 5-6 items specially chosen to prompt self-care. Products can include bath & beauty products, positivity prints or pins, chocolate, tea, candles, journals and more! My hope is that, because it is a subscription box rather than a once off purchase, it will serve as a regular prompt to mothers to take some time for themselves to recharge. Even if all you can manage one day is 5 minutes with a hot cup of tea and a delicious bar of chocolate. Even those few moments can make a difference. And perhaps the next day you could find time to take a bath with a scented candle or some time to journal. It’s not realistic for many women to take an hour or more for themselves every day (even if we’d like to) but if you can build some smaller moments of ‘me time’ into your day on a regular basis, you will find that it makes such a difference to your mental and emotional health. Q2. What are the main challenges you face? I face many of the same challenges that all small businesses face, the main one being building awareness of the company, getting the name out there so that people know you exist – and doing that on a shoestring budget from your kitchen table is always challenging! I think one of the unique challenges I face is convincing mothers of the importance of self-care. As mothers, we so often put ourselves last on the list and can feel guilty about spending time or money on ourselves, thinking that everything should go to the kids or the house or our partners. But if we never take time to relax and recharge, we will eventually burn out, so we’ll be no good to anyone in that scenario. My challenge is to convince women that they deserve to take that time for themselves so that they can be the mothers, partners and women they want to be. What three things could you never have anticipated starting your own business (good or not so good)? How many amazing small businesses there are in Ireland is definitely one! One of my missions with the Mama Moments box is to include only products from small business (small, Irish, female-led businesses if I can! ), and basically give those businesses a platform to access woman who would love their products but might not otherwise come across them. I have met and spoken to so many amazing women who are running their own businesses while raising families and it is a thrill to be part of that community. Women supporting women! A not so good one would be just how expensive shipping is in Ireland. I offer free shipping, and at standard postage rates that is 23% of the cost of the box gone on shipping. It’s important to me to offer free shipping as I want the advertised cost to be the final cost to customers, with no sudden add-ons at checkout, but it’s a challenge to manage the cost. A third thing I did not anticipate, another good one, is just how amazingly kind and generous Irish women are. I could never have anticipated the amount of support I have received from people wanting to help me promote the business to their family, friends and online connections. It’s just been amazing to see how much people will put themselves out there for you when they believe in what you are doing. It’s incredible. Two main things. Wanting to help other mothers and to have a business I can work around raising my family. Because of my own history with postnatal depression and hyperemesis, I feel I have a unique perspective on how important self-care can be for new mothers. I know how hard things can get and how much you can struggle. 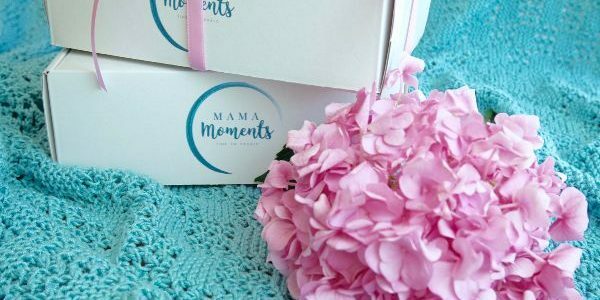 I think if someone had gifted me a box like the Mama Moments box, and told me it was ok not to be ok all the time, that it would have made me realise sooner that so many other mothers felt like I did. Also, being able to work the business around my kids is a huge motivator, they’re only tiny for such a short time, and I want to be around as much as I can be. …There can be so much focus on a new baby that the mother can get lost in the shuffle. There are so many great things about running your own business! Some are the same as what motivates me, being able to help others and being able to do this while raising my children. Others are the incredible people you get to meet and the stories you hear. I’ve gotten to know so many of my customers and the women from whom I’ve sourced products, and it’s been such a privilege learning about their lives. And of course, seeing people’s reactions to the Mama Moments boxes online has been amazing, some people have done live un-boxings, and it’s so much fun for me to see their real-time reaction to the box and all the contents! What advice would you give any woman starting out on the same journey? Just go for it! Starting your own business is a leap of faith, but it’s better to try than wonder what if. Also, it’s ok to ask people for help! People love to share their own experiences and help each other out.